Want an impressive SUV that stands out from the crowd? Jeep has a range of vehicles that give awesome off-road performance and, in some cases, very sporty on-road muscle. Jeep’s new Cherokee Blackhawk combines both superior on and off-road performance and uses some outstanding features and detailing to give it the visual tick. Jeep’s newest edition to the Blackhawk range is the Cherokee and it has loads of style for a great modern 4×4/AWD drive. There are seven fresh exterior colours to choose from. And when you opt for the Blackhawk design-print the glossy chrome has been expelled and replaced with gloss black 18-inch alloy wheels, front and rear fascias and a seven-slot grille. 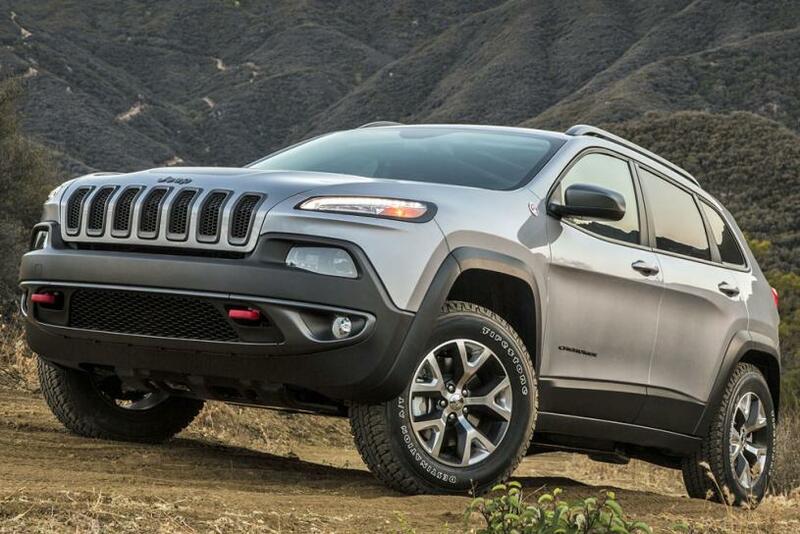 These additions give the Cherokee a bolder, stronger presence with its blacked-out appearance. To complete the overall impressive look are gloss black roof rails, window surrounds and badging. Hop on-board the big new Blackhawk Cherokee, and the interior is luxurious and comfortable. An 8.4-inch Uconnect touch screen comes as standard. Satellite navigation can be provided on all models. DAB+ digital radio results in crisp, strong sounds through the standard six-speaker audio system. Based on the Longitude model, the Blackhawk adds to the Sports forte, providing goodies like: an Active Drive I all-wheel drive system, dual-zone automatic climate control, a power lift gate, rain sensing windscreen wipers, automatic headlamps, auto dimming internal rear vision mirror, a leather wrapped steering wheel, a multi-function steering wheel, and an eight-way power driver seat. Keyless enter-and-go makes it an easy and sophisticated method for getting underway in your favourite new Jeep Cherokee Blackhawk. A powerful V6 is available for powering your new Blackhawk Cherokee. Very smooth and responsive is the 3.2-litre Pentastar V6 engine with a creamy smooth nine-speed auto. Powerful performance leads the charge with 200 kW and 316 Nm. Off-roading in the Limited Blackhawk gives excellent power low down in the rev range. One of the wonderful aspects of owning and driving the new Jeep Cherokee range is that they are extremely comfortable and spacious. The seats are well made to give hours of comfort. Leather trim and electronic seats make for a relaxed drive. Even the rear seat occupants will enjoy seats that recline. A 60:40 split for the second row seats ensure a cavernous luggage space for carrying larger items. The clever Jeep cargo management system adds handy hooks and a removable grocery bag for every shopping spree you or your other half enjoy. Throughout the Jeep Cherokee Blackhawk there are top storage solutions for each and every journey – long or short. There is no more need to have a messy cabin space. I like the covered top bin that is located above the centre stack on top of the instrument panel. This is a great place for putting a wallet, house keys or phone. Top underpinnings give each of the new Jeep Cherokee Blackhawk models the edge when it comes to tackling the toughest off-road terrain. The innovative rear axle disconnect features only engages 4×4 when necessary for greatly improved fuel efficiency. Cherokee features three innovative 4×4 systems available, Jeep Active Drive I 4×4 system with single speed transfer case, Jeep Active Drive II 4×4 system with low-range setting, or the Trailhawk’s advanced Active Drive Lock 4×4 system with 4-Low and rear locker. Out on the open road, the new Jeep Cherokee feels very safe and solid. 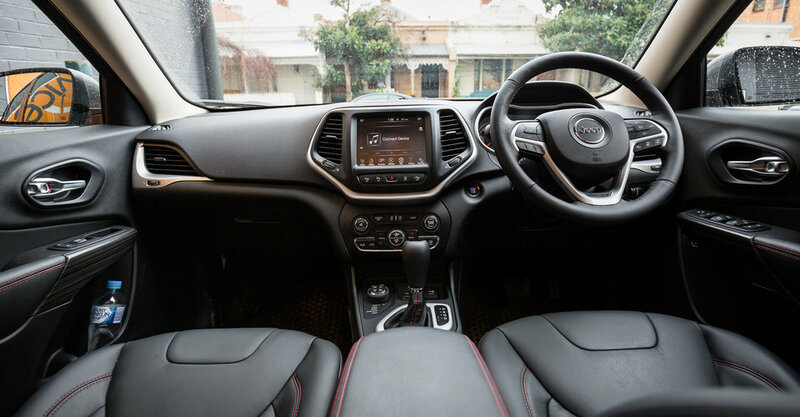 Ride comfort is a strong point, while effortless cruising in luxury is what the new Cherokee will provide. Safety is a Cherokee trump card. The new Cherokee has a five-star ANCAP safety rating and over 70 safety and security features including: seven airbags with full-length side-curtain and side thorax airbags as standard on all models. Forward Collision Warning Plus and a ParkView rear back-up camera have got your back, particularly when in super-busy city streets. Let your hair down and drive with a strong sense of distinction. Jeep Cherokee Blackhawk models offer very good value and proven off-road ability. My cousin has a tough Jeep, and her main reason for owning one is to get through the river crossing which can get tricky after rain. For any more information on the new Jeep Cherokee Blackhawk models or, for that matter, any other new car, contact one of our friendly consultants on 1300 303 181. If you’d like some fleet discount pricing (yes even for private buyers! ), we can submit vehicle quote requests out to our national network of Jeep dealers and come back with pricing within 24 hours. Private Fleet – car buying made easy!